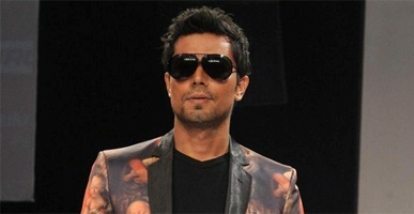 On August 24, 2013, ‘Jism 2’ star Randeep Hooda walked the runway for designer Rajat Tangri in Mumbai. The collection of Rajat was known as ‘Dark Ages’ and it brought glamor from the Gothic, Byzantine, and Baroque eras to the runway. The collection also brought drama when it comes to colors, forms and styles. The models on the runway were made to wear chiffon, silk, duchess satin, wool, taffeta, gabardine and also Nordic fur. The Bollywood hunk was seen wearing a black tuxedo with gold embroidery and skin-tight formal pants. In the past, Hooda starred in movies like ‘Murder 3’ and ‘Bombay Talkies’.